Going to a farmers’ market is like a hall pass for the weekend. Once you’ve filled your vegetable crisper, what you actually eat and drink doesn’t count. Stock up on vegetables, eggs and meat at the opening day of the Brookside Farmers’ Market (63rd and Wornall) from 8 a.m. to 1 p.m. Saturday. The Boulevard Brewing Co. is no longer the only brewery on Southwest Boulevard. Alma Mader Brewing (2635 Southwest Blvd.) — a brewery from Nick Mader focusing on beers made with fresh hops meant to be enjoyed in the taproom — opened to the public this week. Alma Mader is open 5 to 9 p.m. Thursday, noon to 9 p.m. Friday, 11 to 9 p.m. Saturday, and noon to 6 p.m. Sunday. Would you rather have a cocktail? Mean Mule Distilling Co. (1733 Locust St.) — its American agave is in the margarita released by Fling (Boulevard’s entry into the canned cocktail market) — will officially open its distillery and tasting room on Friday. Revocup Coffee Roasters (17180 W. 87th St., Lenexa, Kansas) is open in Lenexa City Center. The coffee shop is serving pastries from Serene’s Bakery, sandwiches and yogurt parfaits. If you’re craving sweets, Revocup serves an Ethiopian macchiato made with caramel and amaretto. Revocup has four area locations and a fifth shop in Maryland Heights, Missouri, just outside St. Louis. Let’s call this one a learn and lunch. Lidia’s executive chef Cody Hogan will hold a cooking demonstration on cooking with herbs. The class ($45), which includes a three-course lunch, is from noon to 2 p.m. Chef Hogan will talk about and be serving gnocchi with sage butter and blueberry lavender ice cream. Make a reservation by calling (816)-221-3722. Bourbon is best explored with a guide. The Fontaine (901 W. 48th Place) is holding a Derby Day class ($52) to teach you how to make bourbon cocktails, including a mint julep, from 3 to 5 p.m. Saturday. If you’d rather somebody else make your bourbon drinks, Swordfish Tom’s is hosting a fundraiser for the Leukemia & Lymphoma Society from 4 to 7 p.m. Sunday. The VIP Sunday Funday ($100) tickets come with food, three cocktails and dessert. There are only 40 tickets total. Cinnamon rolls seem like magic tricks. As you unroll the layers of cinnamon and icing, it’s hard to decode exactly how it all comes together. 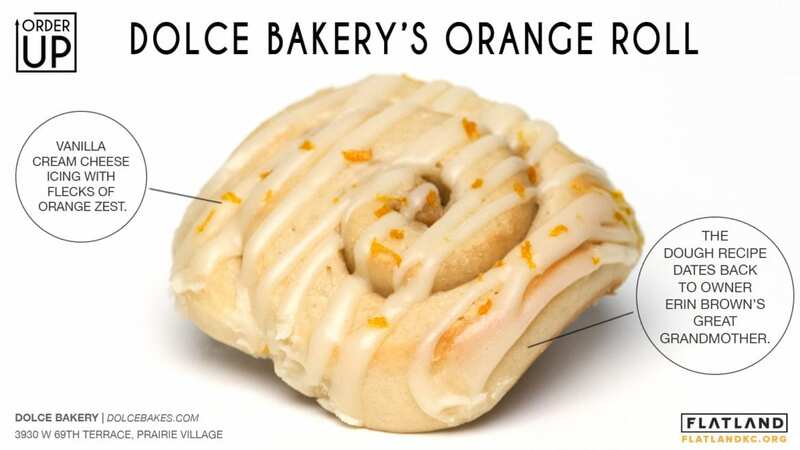 Learn all a baker’s secrets with Dolce Bakery (3930 West 69th Terrace, Prairie Village, Kansas), which is holding a cinnamon roll class ($125) from 5 to 6:30 p.m. Saturday (so you could technically take the bourbon class and then roll some dough … just saying). Learn proper technique, roll out dough and take a pan of 12 cinnamon rolls home.